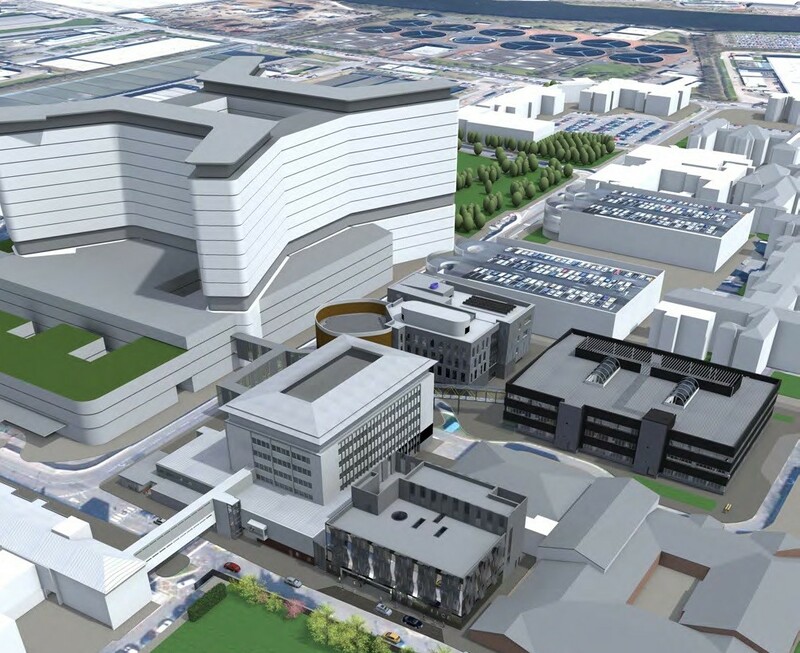 NHS Greater Glasgow & Clyde have announced a £40m modernisation plan for the Institute of Neurological Sciences within the Queen Elizabeth University Hospital campus. This will see the 1970’s building given a makeover with new cladding and state of the art operating theatres, a day treatment unit created in partnership with the University of Glasgow. Externally the building grid and cladding panels will be arranged into ‘slices’ intended to replicate the images taken by an MRI scanner, with a new entrance and café also built. 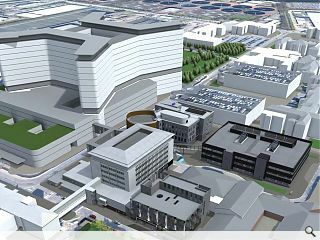 As part of this work a number of linked developments will take place, including creation of a £5m Clinical Research Facility, a new neuro-physiology department and construction of an Imaging Centre of Excellence. The full programme of work is expected to conclude by 2017.
there's a comment about the 'MRI slices' concept, but no mention of the Architect. Who's doing this, UR?